← BLOG Reading: Caught Up – I think. 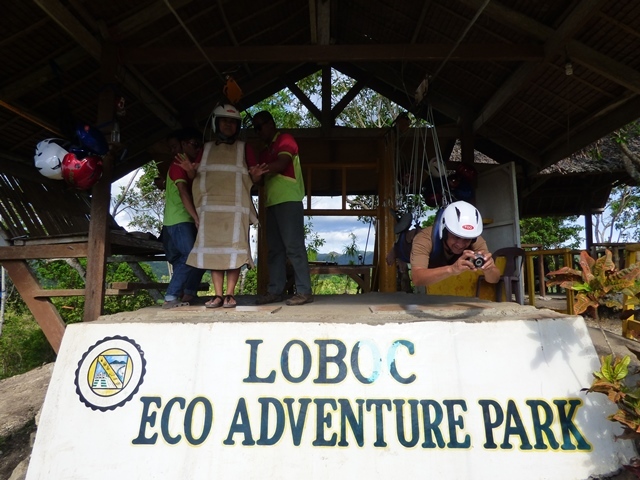 Across the river from the Loboc River Cruse is the Loboc ECO Adventure Park. 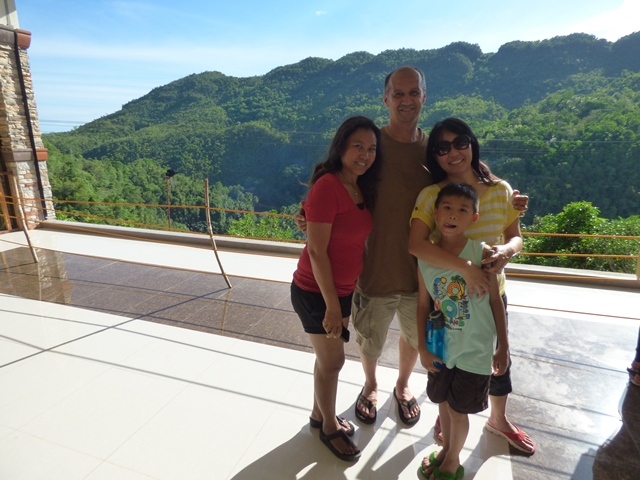 Why its called an adventure park is beyond me because the only thing I saw there was a zip line and cable car. Never the less it was an adventure for I spent much time attempting to convince my wife and her best friend to ride the zip line; both have a severe fear of heights. 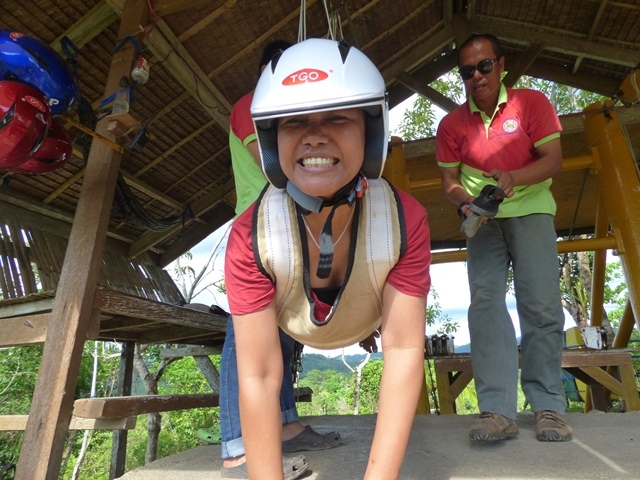 After much prodding, assuring, and the promise of not adding to her fear by teasing her I was finely able to convince my wife’s best friend to challenge her fear and allow herself to be propelled 1706 feet (520 meters) across and 393 feet (120 meters) above the river on a 3/4″ inch cable. I’m sure if I had told the above details she would not have done it. 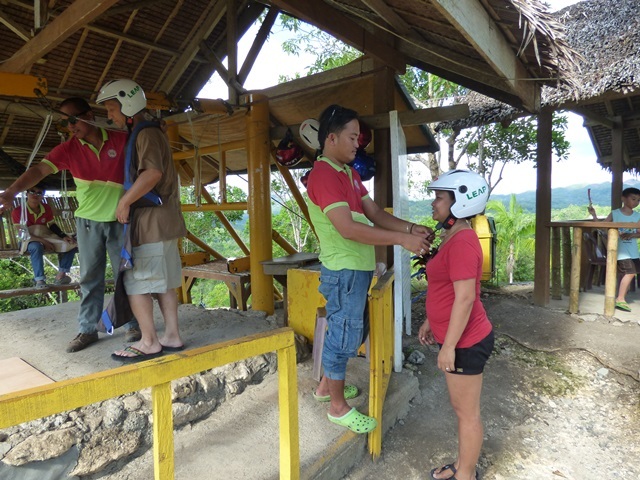 You can zip line to across and back but I was only able to convince her to ride the zip line one why, I disappointment I thought but the return trip on the cable car proved to be spectacular! 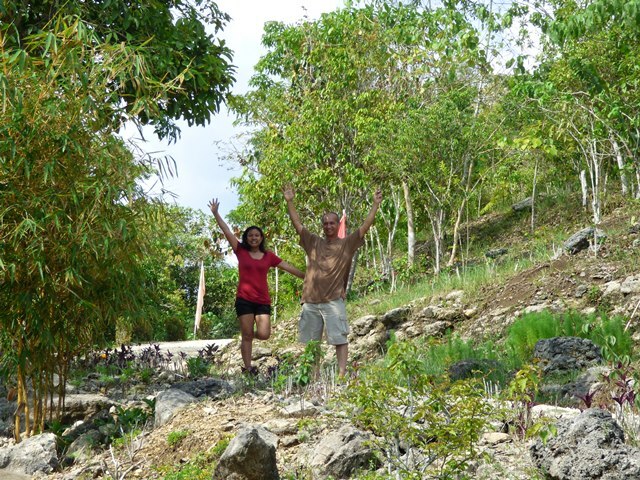 This entry was posted in bohol, philippines, travel and tagged Bohol, loboc, Loboc ECO Adventure Park, Loboc River, Philippines, tour, travel. Bookmark the permalink. Looks amazing! Give your wife a high-five from me, all the way from Michigan!